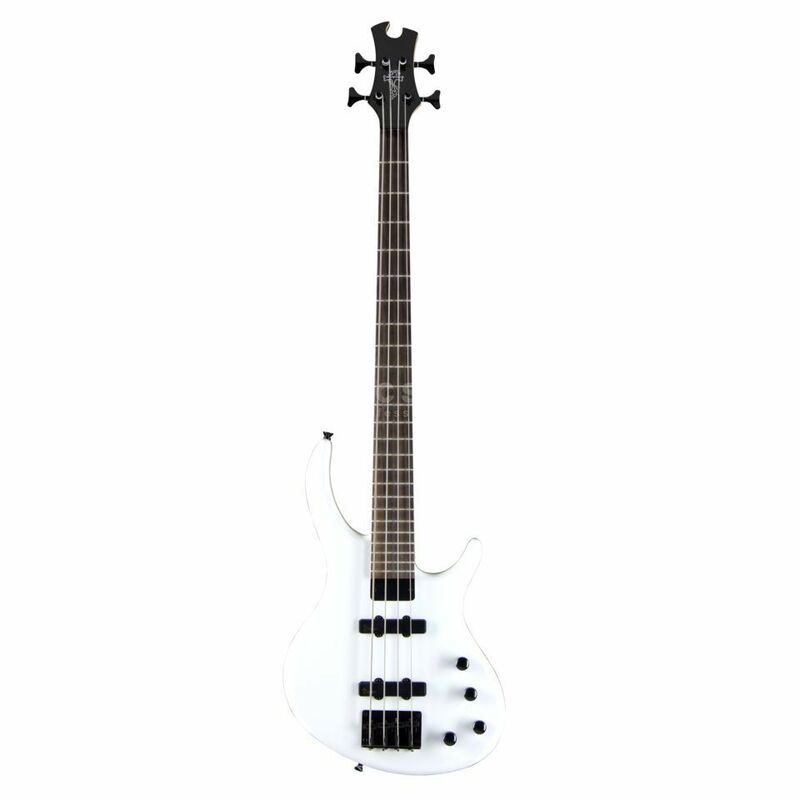 The Epiphone Toby Standard-IV 4-String Bass Guitar Alpine White has its heritage in the original designs of Michael Tobias introduced over 10 years ago. The ‘Toby’ brought real innovation to modern bass players and now Epiphone and Tobias team up to bring back this classic design, once again putting cutting edge sounds and designs in the hands of all musicians. The Toby Standard IV features the classic ergonomic body shape that bassists find so easy to play, providing a focused, ‘finished’ sound that has all the punch of an upright bass with all the clear detail of an electric. Its an alright bass. Came with a semi-loose volume knob, but it can be easily tightened. It needed a setup (intonation / thruss-rod adjustment), but it came with the tools and instructions for it.